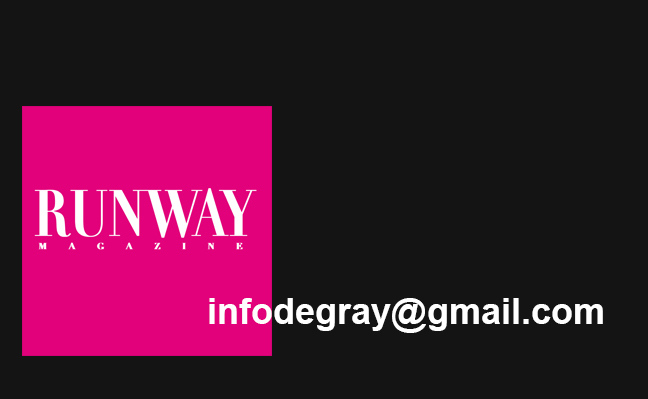 RUNWAY MAGAZINE ® is an American-French magazine, produced by Media Group ELEONORA DE GRAY, with the offices based in Paris (France), New York and Los Angeles. 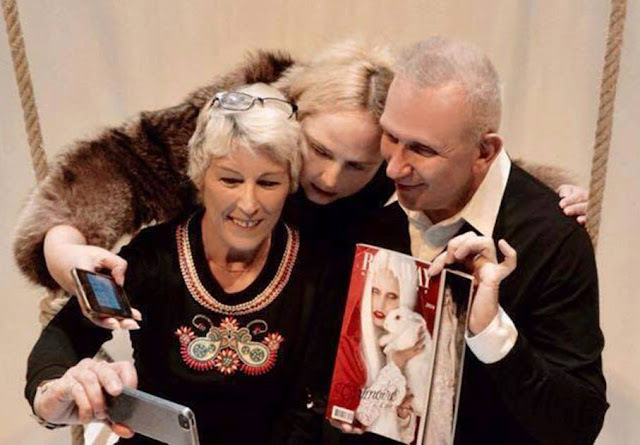 Runway Magazine started in 1995, in 2010 became ultimate luxury printed edition about trends, expertise, the most talented designers, photographers, artists, architects, showing the most amazing embroideries, exquisite cuisine, luxurious spa and much much more. It is a luxury printed book. Runway Magazine, printed luxury book and digital online platform hosted on www.RUNWAYMAGAZINES.com, exists on two languages : English and French. 1 000 000 readers a month! 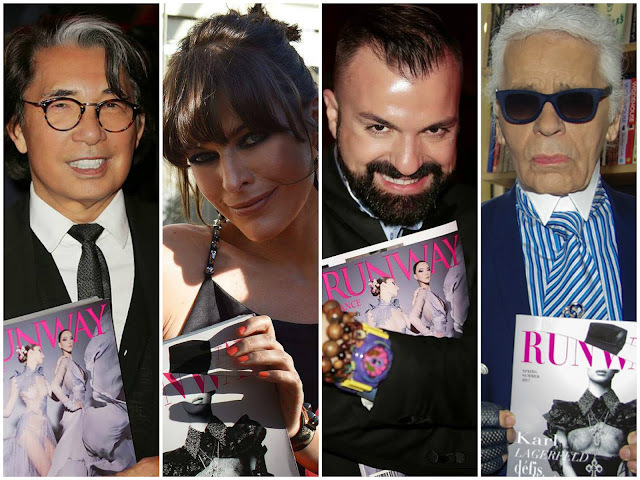 RUNWAY MAGAZINE ® ultimate luxury magazine, 300 pages luxury editions produced and published in USA and France. Offices in USA located in New York and Hollywood, Los Angeles. Office (Headquarters) located in Paris, France. Managing partners: Eleonora de Gray – CEO and Editor-in-Chief, Guillaumette Duplaix – Executive Director. Trademarks registered in Europe. 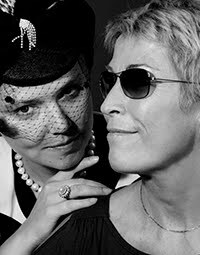 Magazine presented and supported by Karl Lagerfeld, Jean-Paul Gaultier, Kenzo, Mila Jovovich, Claudia Cardinale and many other fashion designers and actors at different fashion and cinema events. RUNWAY MAGAZINE ® featured in several movies and TV series. Digitally RUNWAY MAGAZINE ® distributed as Fashion News web-site www.RUNWAYMAGAZINES.com, RUNWAY News-Paper distributed in format of Nook by Barnes & Noble, Kobo by Fnac and other online platforms, and as an Application available on Google Play and Itunes. Eleonora de Gray is French-American Founder of Media Group ELEONORA DE GRAY and RUNWAY MAGAZINE ®, Producer and Director of RUNWAY MAGAZINE ® talk show – video episodes about fashion weeks in Paris, New York and Milan with exclusive interviews, broadcast on 40 TV channels in USA with Dish Network.She started her career in fashion more than 20 years ago as model, became known by Nivea and many other commercials.Today in partnership with one of the top color specialist in France Guillaumette Duplaix, who’s known by her expertise and work with Chanel, Hermes and many other fashion houses, Eleonora de Gray created a company, media group with creative solutions in media, outstanding solutions “out of the box” for branding, marketing strategy, fashion expertise, promotion, online media solutions and consulting. Company launched new line of fashion accessories. We produce RUNWAY MAGAZINE, International High fashion magazine, based in Paris, France with distribution in Europe. 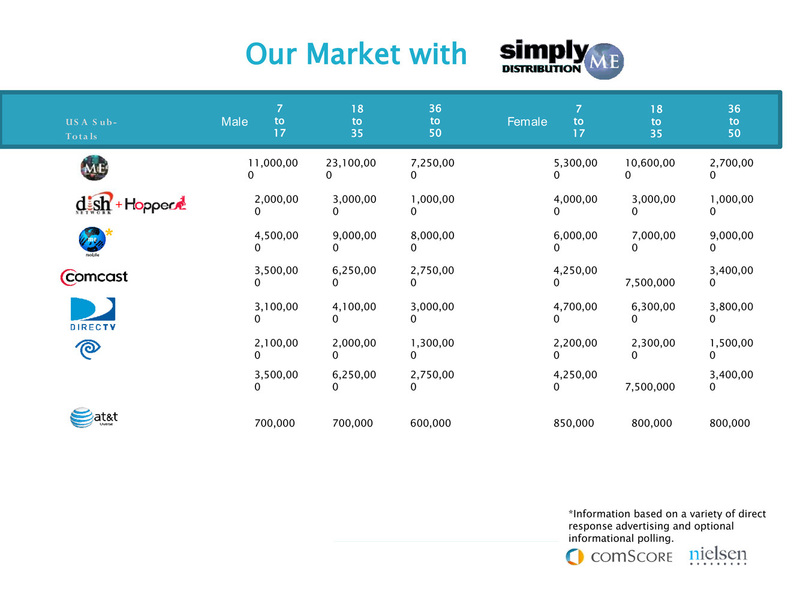 Magazine bi-annual edition, 300-400 pages, 20 000 copies published and distributed in Europe, 20 000 copies in USA. We sponsor together with Vogue magazine WOMEN FASHION FILM FESTIVAL in New York, and we are media partner of LA JOLLA FASHION FILM FESTIVAL in Hollywood. 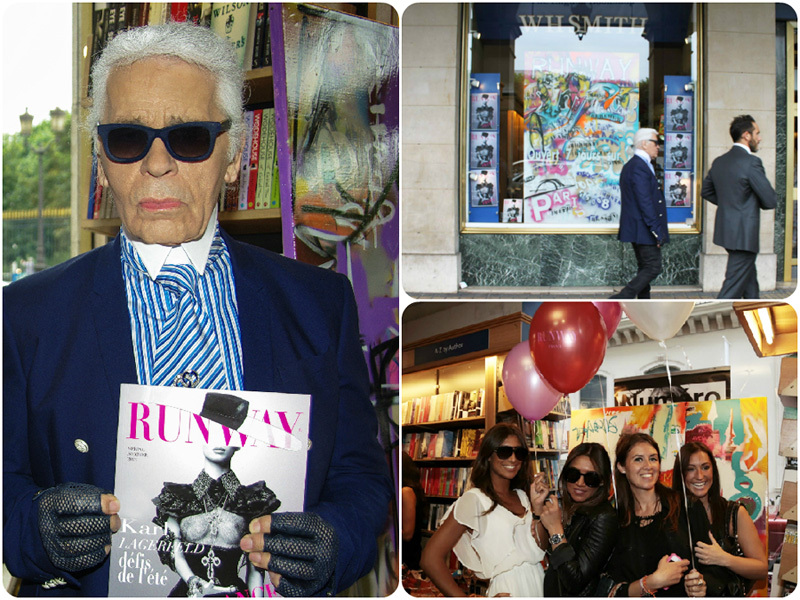 ​On photo:Karl Lagerfeld - Guest of honor at Official RUNWAY MAGAZINE party at WHSmith in Paris. On photo: Red Carpet of Sue Wong - Hollywood fashion designer with Uber Producer Quincy Jones, actress Kelly Hu ( X-men ), actor Terrence Howard, and Faith Harrington-Boutin who featured Sue Wong in RUNWAY MAGAZINE. 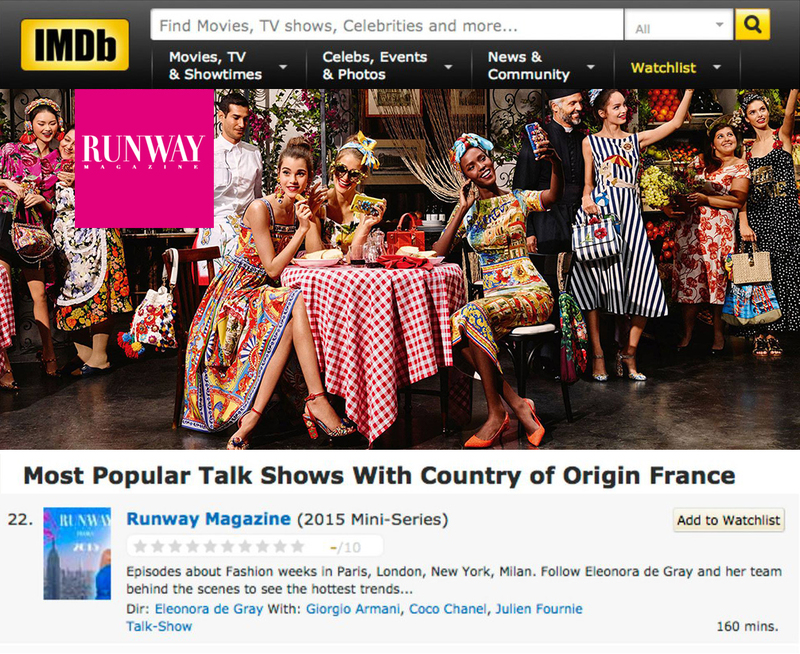 We produce RUNWAY MAGAZINE talk show, broadcast on 40 television channels with DISH NETWORK. We have seen by millions. 20 talk shows each year. We propose: Marketing Development Consulting, Color Development Consulting, Communication Development Consulting. We also propose to develop Marketing Strategy, Color Development for products and company, Communication Services. For information about services and media support, editorial, advertising, endorsements, video episodes, fashion shows and events, please email us.